Acquisition of “Long Island Exchange” Digital Newspaper, Other Pubs, by LongIsland.com’s Long Island Media Inc.; Single Entity Now Owns and Operates Multiple News and Media Publications; Automotive Brands, Regional Yellow Pages Business. LongIslandExchange.com was founded in 2002 by John Colascione, and focuses on promoting Long Island as a tourism destination. The site features news, classifieds, entertainment, local businesses and anything else related to the region. Over 100,000 unique users per month visit the various websites under the Long Island Exchange brand, including LongIslandExchange.com, NewsLI.com, and LIUsedCars.com. Founded in 1996, LongIsland.com is owned and operated by Ralph Cristello, and shares a near-identical focus in promoting Long Island as a tourism destination as well as highlighting local businesses. The site is the highest trafficked privately owned website for the region with over 450,000 unique visitors per month. Under Long Island Media Inc., Ralph Cristello, serves as President, while Colascione will function as Chief Executive Officer. According to Colascione, the merger was a matter of timing; and, finally, the timing was right to unite these two powerhouse assets. As far as user loyalty, both brands have a significant following on social media totaling a combined 100,000 followers on Twitter and Facebook allowing the new entity to collectively reach in excess of 1,000,000 users per month. LongIsland.com has a thriving business and informational following for Long Islanders, as does Long Island Exchange; however, what Exchange uniquely brings into the mix is LIUsedCars.com, the premiere destination on the web for consumers to quickly and easily find used cars in the Long Island area. LongIsland.com brings significant readership and traffic, the necessary component to any online success. The merger, according to Colascione, is an amazingly effective way to expand the scope and reach of LIUsedCars.com, and their respective customers – in a vast number of ways. “Through this merger, we will expand and enhance not just our localized business listings service, still a significant and effective service for local businesses, but also our news divisions and automotive advertising program,” he said. “This merger will provide the tools and the exposure needed to catapult all of our combined services and deliver an indisputable advantage on Long Island, home to over 7 million residents and according to the Long Island Convention & Visitors Bureau , destination to over 9 million overnight visitors each year. 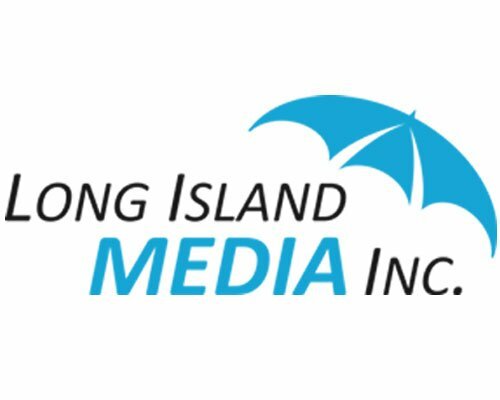 Long Island Media, Inc. owns and operates the largest privately held network of Long Island based web sites on the Internet. The company owns LongIsland.com, and has acquired most of Long Island’s original web portals; websites specifically focused on Long Island New York. Reaching in excess of over one million monthly visitors, Long Island Media‘s online-only publications providing Long Islanders with a wealth of news, business information and resources for planning activities in the area. No matter what type of business you own, or what local demographic you’re trying to reach, if you’re targeting Long Islanders, Long Island Media must be part of your marketing mix. For more information please visit www.longislandmedia.com. Subject: LongIsland.com - Your Name sent you Article details of "Two Regional News, Media Giants Merge; Network of Digital Publications for Long Island to Possess Conglomerate Advantage in New York Region"